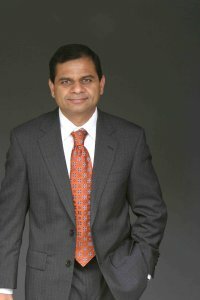 Dr. Vinay K. Chaudhri is a program director in the Artificial Intelligence (AI) Center at SRI International. His research focuses on the science and engineering of large knowledge base systems and spans knowledge representation and reasoning, question answering, knowledge acquisition, and innovative applications. His most recent work has been on creating an intelligent textbook in biology that answers a student’s questions and leads to significant learning gains. He has co-edited a volume on the Theory and Application of conceptual modeling, and two special issues of AI Magazine — one on Question Answering Systems, and another on Application of AI to Contemporary and Emerging Education Challenges. He has taught a course on Knowledge Representation and Reasoning at Stanford University. He holds a Ph.D. in Computer Science from University of Toronto where he was a Connaught Scholar and a Fellow of Massey College. He also holds a Masters in Industrial and Management Engineering from Indian Institute of Technology Kanpur , and a Bachelor’s degree in Mechanical Engineering from National Institute of Technology, Kurukshetra . The Goal of this project is to develop knowledge base tools that can be used with multiple knowledge representation systems.